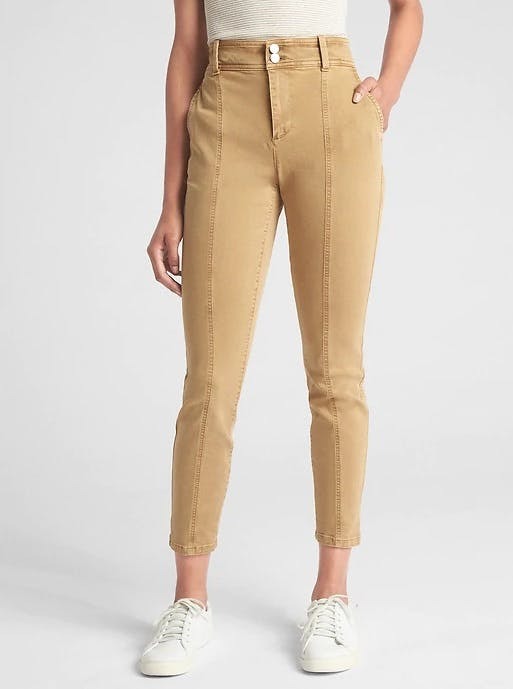 For the last few years, high waisted jeans have been more and more popular. And for good reason, they’re flattering, good for going out or going to work, and can be worn up or down. 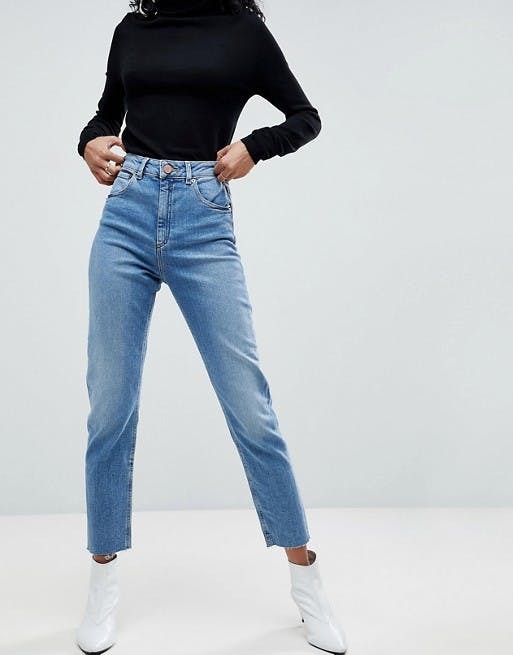 From skinny to wide leg — and distressed to khaki — below we put together a lists of all the best high waisted jeans. Next, we get down to business and show you the best ways to wear those jeans, featuring some of our favorite influencers. Love to try on and get a feel for yourself? 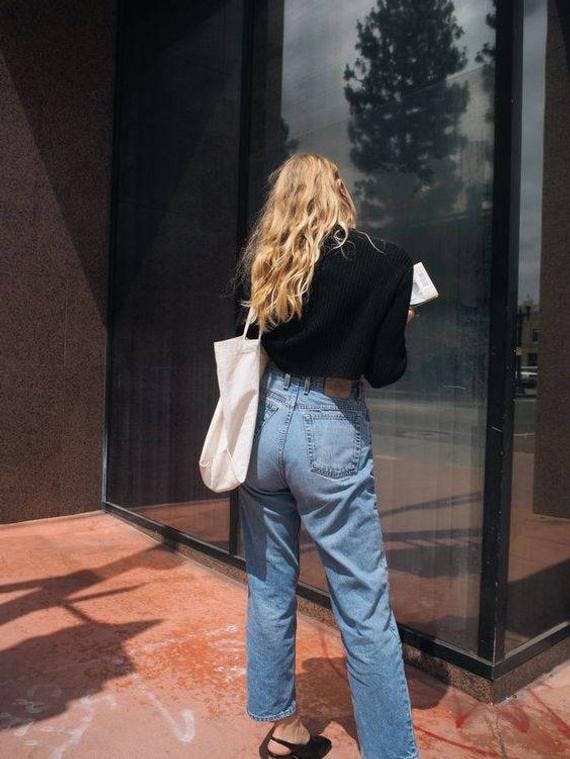 Last, check out the best stores for high waisted jeans, so you can test them out for yourself. 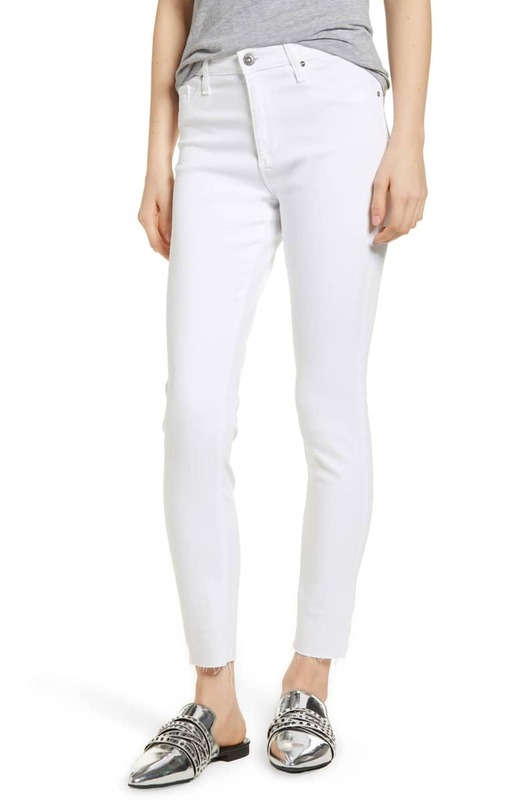 Super comfortable and the perfect wash, these skinnies from J Brand are our first pick. 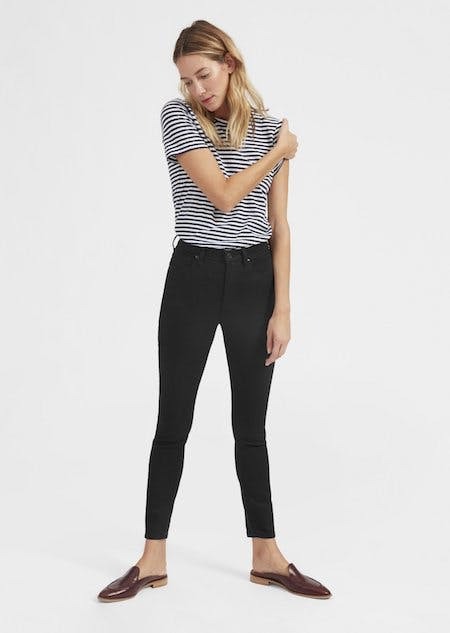 One of our new favorites, DSTLD has the best essentials, including these black skinny high waists. 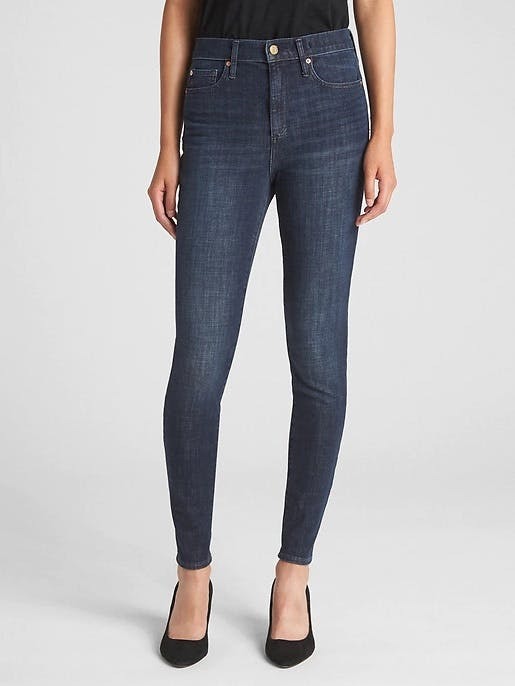 NYDJ has a ton of great, relaxed fit jeans including these. I recommend Everlane every chance I get for their high quality and good prices. 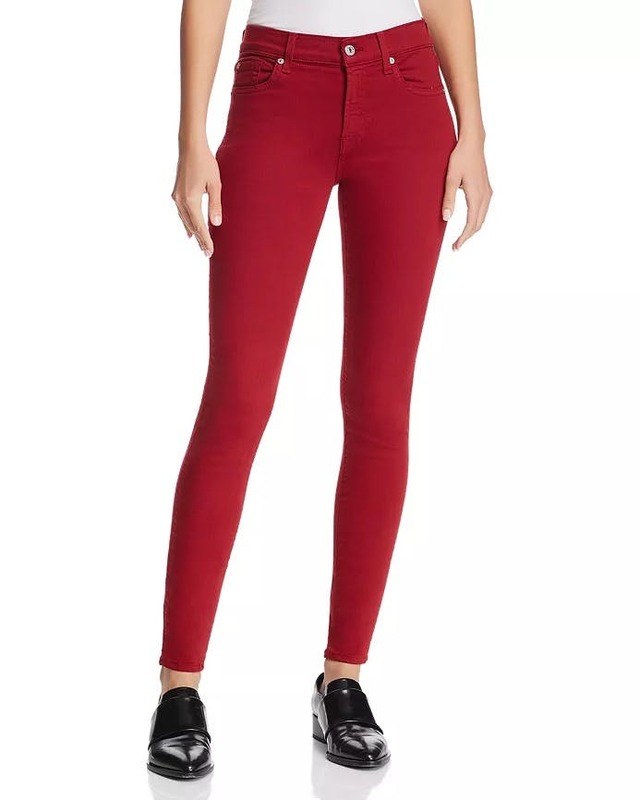 Love these high rise skinnies. 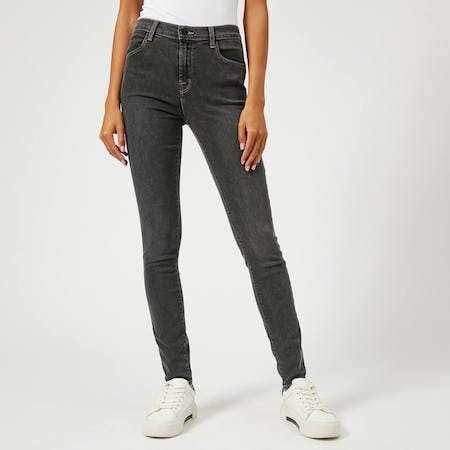 Sometimes fast fashion crushes it – these light wash jeans are the perfect mom jeans. 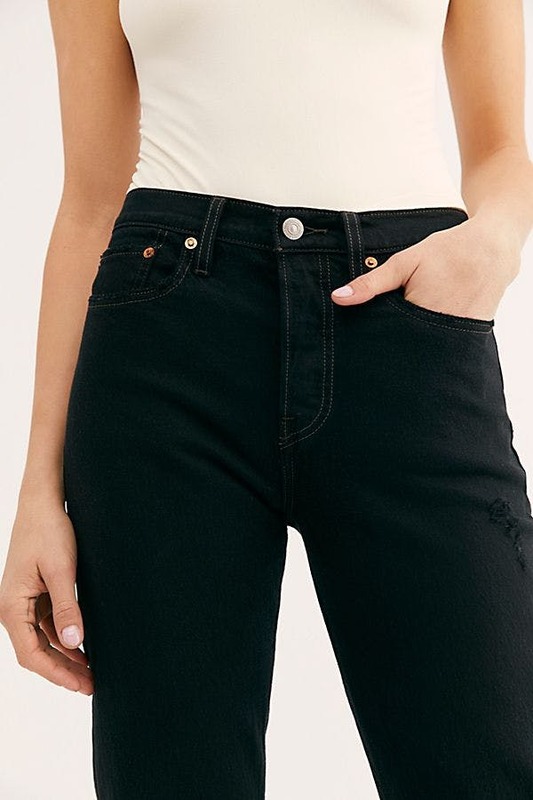 I’m obsessed with how 90s and cool these jeans are. For all of your sleeping on the Gap, wake up!! Their whole collection is good and the prices are even better. As most of you know, we are big AG fans. 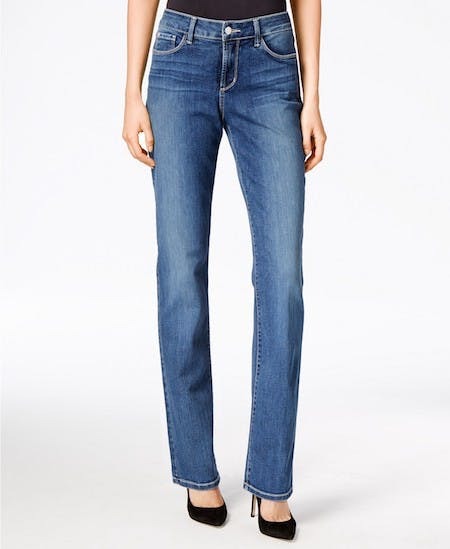 These jeans are relaxed and comfortable – perfect for spring or summer. Lee and Wrangler in one review? Now we’re talking. These have a little Western style…perfect for cowboy boots. Switching it up a little here — check out Hanmattan’s Etsy shop if you are interested in vintage high waisted jeans. She has excellent picks and good prices. 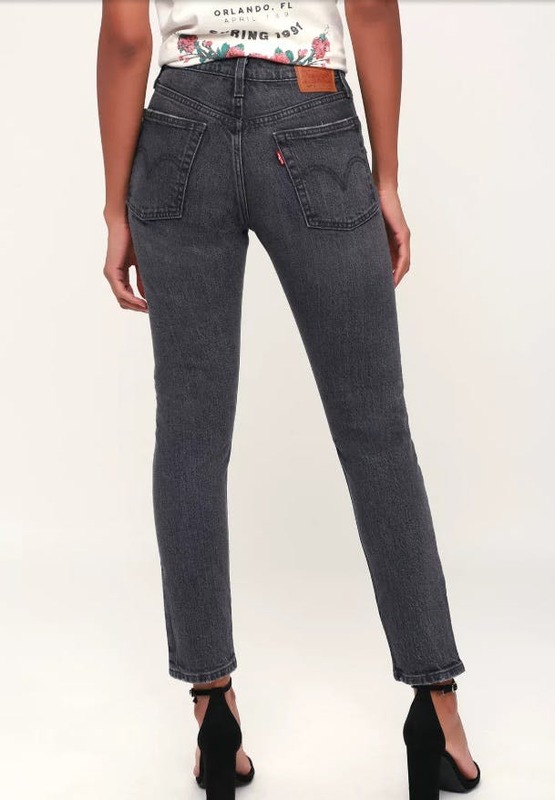 We never give Hudson enough love — they’ve been making great jeans for years. 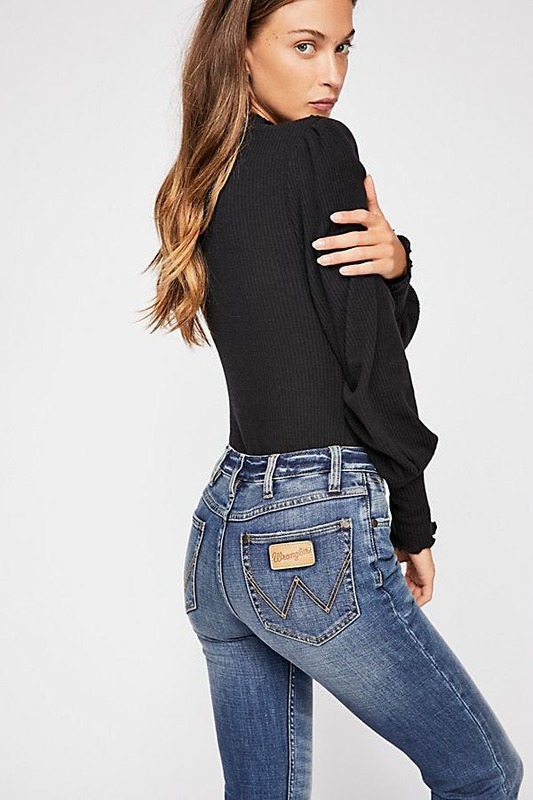 Once you’ve got the jeans, you need to style them. Here’s how some of our favorite influencers have done it with blazers, crop tops, and more. American Eagle gets a bad wrap, but they are in every mall (those still exist, right?) and they have a good selection and very good prices. Their webstore is good too! American Apparel’s locations are entirely closed down now, but they do have a good selection online so I included them.